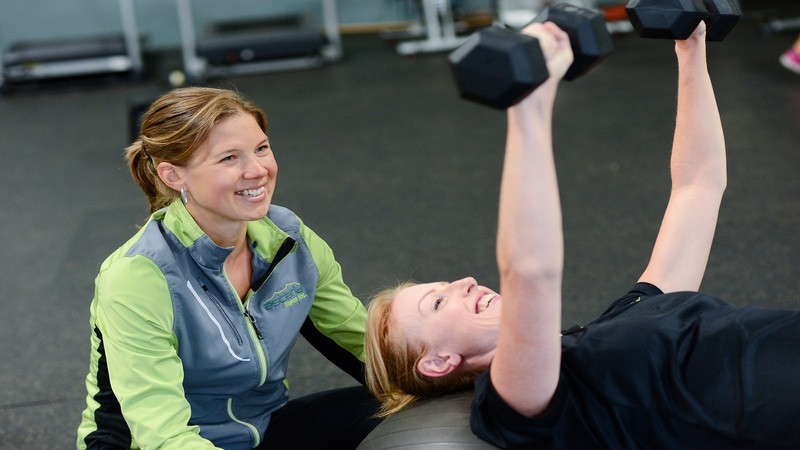 Some Tips On How To Pick The Perfect Personal Trainer For You! It may be a bit self-serving to create an article about the best way to pick a personal trainer on a site about personal training, but part of this business is helping people so offering this kind of advice may actually be more beneficial than some may expect. In fact, how many times have you heard from a friend “My personal trainer is such a jerk, he never listens and by the time I get home, I can’t even walk the next day!” While this is of course not a horrible problem, training should not be a 3 to 4-hour session 5 times a week unless you happen to be going to the Olympics or something of that caliber. A smart trainer will always know what your limits are and make sure that you can still live your life the following day. Here are a few tips I’ve learned to really help out when looking for a personal trainer that will fit your needs. Surprised? This is actually one of the key components when picking someone to train you. Sure, there are times when you can find someone willing to travel to your location of choice and train you either at the gym or the local park; a lot of the time, though, they also increase their charges for the travel expenses. While looking for a trainer, think about how close you are to them and them to you as once you finish a workout, an hour drive back home is not the best motivation to keep going. In fact, imagine planning to go to your PT and you realize it will take an hour to get there to work out for an hour, get dog tired, then turn around and drive ANOTHER hour the other way. Finding a trainer that is relatively close to you and a breeze to drive to and from will actually help boost your willingness to go to training. It’s a simple psychological trick but it works! One thing that the Body Master Fitness Studio in Houston, TX is familiar with is experience and what exactly that entails. With the ease of starting just about any profession in our current digital age (I mean is every YouTube star really a great actor? 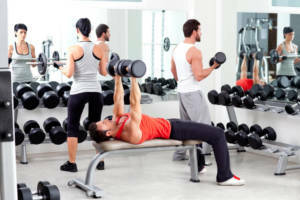 ), there are more and more personal trainers popping up as the position is viewed as an “easy job”. Let me tell you that this is the wrong way to approach it as it involves a lot of work that goes on behind the scenes and any good trainer will know this. The primary role of any PT is to make sure that you are motivated, taken care of, and your needs are met. This doesn’t just mean taking you to the gym and forcing you to lift weights until you “feel” like you’ve had a good workout. Rather, this comes in the form of listening to the client and actually hearing what they say. When picking a personal trainer, have a talk with them and ask directly how they will help you if you happen to injure yourself during a workout. Will they keep pushing you on that hurt shoulder or will they adjust the workout to keep your other parts going until your shoulder recovers? A lot of so-called professional trainers will pick the former or instead, just send you home for a few weeks until you recover while keeping your deposit. That doesn’t seem fair though as you, the client, may want to keep working out but as I mentioned, sometimes trainers will not listen and that separates those with real experience from those who dabble. Experienced, well-trained trainers will know what to look for and most of the time not even let your shoulder reach the point of complete discomfort. Not only that but when something happens in your life that may negatively affect your energy and drive, they are there to listen as well as push you forward. Naturally, we all want a trainer who knows their stuff but when real experience shines through and they’re able to help you beyond just lifting weights, you know you’ve found a great trainer. While some personal trainers give you a monthly non-refundable charge that you have to use it or lose it, there are still some that offer a package deal. You pay for the sessions you would like and use them as you are able to within your schedule. These are rare and few between but most of the time, when these packages are offered, it’s because the trainer is looking to really improve you and fit your schedule rather than just trying to make a sucker out of you. Be upfront about what you want to pay and see if there is a plan you two can work out that will fit your budget, schedule, and everything else. In closing, the three core components of finding a great personal trainer are someone that is located a reasonable distance from you, someone that is experienced and reliable, and finally, someone who gives a fair way to arrange your sessions rather than trying to slight you of your hard earned funds. Finding a personal trainer in Houston, TX is a difficult task but with this extra knowledge, should prove a bit easier the next time you begin looking. Until next time, think healthy, be healthy! You get married. Have a baby. Move across the world. Start going to night school so you can get a degree. All of these are life-changing events that make you a different person. But did you know your life can change significantly just by spending some time strength training? That’s right—if you’re willing to commit to strength training, your life will change significantly in seven ways. Here they are. Want to reduce your worry factor significantly? Then start lifting weights. When you do, you’ll find your body has better defense against the common cold and other everyday sicknesses. But that’s not all. By lifting weights and staying healthy, you’ll be better able to sidestep countless diseases that plague so many—from diabetes and cancer to heart disease and stroke. Ever just want to crash and burn after a hard day at work? Wish you had the stamina to play a game of kickball with your kids on the weekends? Lifting weights will help you improve your stamina so you can do just that. Once you’ve lifted weights for a while, your muscles grow stronger and you learn how to power through even when you’re feeling a bit worn out. Going longer, however, isn’t reserved for the athletic field. Lifting weights may not transform you into some sort of sexual maniac, but it will do lots of good things for your body that in turn translates to good things for your sexual abilities. One way strength training does this is by improving blood flow throughout your body, which is important for sexual function. On top of blood flow, you will feel better about your body and become less likely to struggle with sexual dysfunction. Meetings aren’t the most exciting events in the world. They drone on for hours, and your involvement does little to help those you’re meeting with find solutions. Until you start lifting weights. Suddenly, your brain is getting the blood flow necessary for optimal function and your brain even grows new cells. Once your most important muscle kicks into overdrive, you’re ready to be alert and thoughtful. Life is not easy. And when it comes at you full force, the stress can be too much. When this happens, you may find yourself spiraling into a bout of sadness or even depression. Lift weights regularly, however, and you’ll experience something the prescription-producing world doesn’t want you to know. Lifting weights gives your body what it needs to fend off depression. And you don’t need a doctor’s appointment for a weight-lifting session. It is good to plan and know what you’re doing with your life. However, if you spend all your life worried about what you’re going to do with yourself when you retire in 23 years, you’re missing out on something very important: the here and now. When you lift weights, you’re forced to focus on the task at hand. Otherwise, you’ll never get that final rep in. By incorporating strength training, your life is changed for the better, because you finally learn to live in the moment, a skill that translates to increased life satisfaction. Sound good to you? Give me a call or shoot me an email today to get started on a fitness routine that’s custom tailored to your needs. If want to reduce body fat, start by cutting down the sugar in your diet. Sugar encourages fat storage by causing your insulin levels to rise. Try natural low-calorie alternatives to sugar, such as stevia, to replace refined and processed sugars. Green beans are low in calories and packed with vitamins and healthy fiber. This dish comes together quickly and the flavors are deliciously tangy. 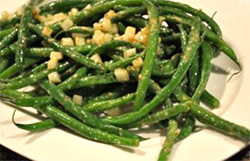 Steam the green beans until soft, yet still with a slight crunch. In a medium bowl whisk together the remaining ingredients. Add the green beans and toss together. Transfer beans to serving dish and enjoy. Tired of gaining weight? Of course you are – none of us enjoy it when the number on our scale begins to climb. So why are you gaining that extra weight now? That is a valid and frustrating question. And the answer is often found in recent changes in your life. Life’s Fat Traps: We all gain weight for different reasons. You often hear about one-size-fits-all weight loss solutions that take little or no consideration of how the extra weight piled up in the first place. To experience true weight loss it is important to understand why you gained it in the first place. Think back to the time in your life when your weight was just right. Were you in your teens? Your twenties? Or maybe your thirties? Picture yourself as you were at your ideal weight. Now when did things change? Was it a gradual addition of pounds that accumulated over a span of multiple years? Or did you gain it all at once? Check out the following weight gain triggers and determine which one is responsible for your plight. College: The college years are some of the easiest for gaining weight. In fact, a recent study by Cornell University found that on average, college freshman gain about 0.5 pounds a week – almost 11 times more than the average weight gain among 17-and 18-year olds and almost 20 times more than the average weight gain among American adults. Marriage: There’s nothing like holy matrimony to encourage a barrage of calories to overtake your diet. Late night comfort snacks are always more enjoyable when you have someone to share them with—and who better than the person who pledged to stick by your side through sickness and health? Pregnancy: Talk about a great time to gain weight! And we’re not just talking about women here—most men admit that they gained ‘sympathy’ pounds right along with their wife. Hormonal changes along with strong encouragement from everyone you know to indulge in anything their heart desires leave most pregnant women with a feeling of entitlement when it comes to food. Career: Though you may not realize it, your career choice plays a major hand in your weight. Those who go from an active lifestyle to spending 8 hours a day behind a desk and another 2 hours commuting almost universally gain weight. Conversely, people who spend their 8 hours in constant motion find weight loss a natural byproduct of the job. New Habits: Close your eyes and go back to the fat trap that triggered your weight gain. What changed in your lifestyle? To help sort things out, I’ve broken things down into two specific behavioral categories. Eating Habits: Did your eating pattern change at this time in your life? If your weight gain occurred in college then maybe you went from eating 3 square meals to an all-you-can-eat buffet style cafeteria. Or if marriage was your weight gain trigger, then maybe you went from eating small meals to fattening comfort food. Pregnancy brings on the perfect environment for a change in eating habits. You go from eating normally, to eating ‘for two’, to munching on your baby’s snacks right along with him! Your job can also dictate your eating schedule. Long hours and early meetings may cause you to grab a donut or chips from the vending machine. Activity Level: The second category that leads to weight gain is your activity level. Simply put, what kind of exercise were you doing before your life changing event and how does it compare to your current exercise regime? Chances are good that you were doing more exercise before your weight gain began—which means that you are doing less exercise today! Go ahead, think back to the exercises or physical activities that you used to do and compare them to your schedule today. Your Transformation: You’ve figured out which fat trap in your life led to weight gain, and then narrowed down the exact behaviors that changed as a result, so this naturally leads us to a solution. Call or email today to get started on a fitness program that will make you immune to all of life’s fat traps. Once you start working with me, those numbers on your scale will quickly change direction. Let’s do this! Just because those crunches won’t reduce your body fat, that doesn’t mean you shouldn’t strengthen your abdominal muscles. Regular ab exercises are an essential part of your strength and conditioning – necessary in order to get that fit physique you want. Plank: Lie face down on mat resting on the forearms, palms flat on the floor. Push off the floor, raising up onto toes and resting on the elbows. Keep your back flat, in a straight line from head to heels. Tilt your pelvis and contract your abdominals to prevent your rear end from sticking up in the air or sagging in the middle. Hold for 30 to 60 seconds, lower and repeat for 3-5 reps.
Knee Tucks: Start on your back, bend your knees into your chest, point your toes together, and open knees out to the sides, keeping toes touching. Extend both arms overhead on either side of your ears, palms facing up. Lift your hips off the floor and bring your knees up towards your armpits. Slowly lower your hips back down to start position. Repeat for 12-15 reps.
One-Arm Full Sit Ups: Start lying on your back with your right knee bent, foot flat on the floor, and left leg extended straight out on the floor. Extend your right arm to the ceiling and reach your left arm towards your left foot. Sit all the way up, rolling through your back, keeping your right foot on the floor, and your right arm up over your shoulder and your left arm reaching in front of you all the way up. Slowly roll back down to the floor. That’s one rep. Repeat 15 times on one side, 15 times on the other. For an extra challenge hold a dumbbell in your extended arm. Warm the tortilla in a dry skillet. Spread the hummus evenly over the tortilla. 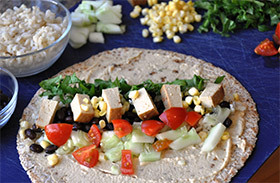 Top the tortilla with rice, beans, chicken and veggies. Fold the two sides of the tortilla in over the filling, then flip up the bottom edge and roll tightly. Nutritional Analysis: One serving equals: 380 calories, 7.8g fat, 45g carbohydrate, 7g fiber, and 31g protein. 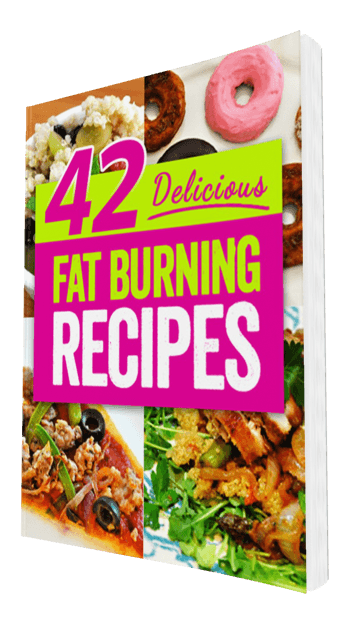 Download the free "42 Delicious Fat-Burning Recipes"